The 1954 Supreme Court case of Brown v. Board of Education of Topeka turned one man's fight for his daughter's right to attend school into a crusade for the equal opportunity for minority children across the nation.  The historical decision ended legal segregation in the United States school system. On the eve of the Brown v. Board of Education case's 60th anniversary, we celebrate the civil rights triumph and remember the faces of those responsible for it's success. Left to right: George E.C. Hayes, Thurgood Marshall, and James M. Nabrit -- the lawyers who led the legal case -- descend the court steps in Washington, D.C., on May 17, 1954 after The Supreme Court ruled that segregation is unconstitutional. Linda Brown's was in the 3rd grade when her father filed a class-action suit that became Brown v. BOE in 1951. 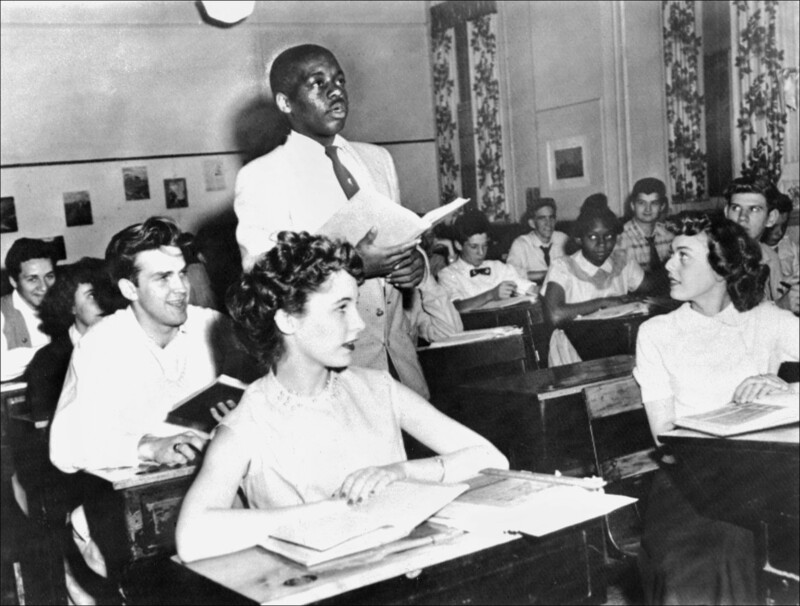 May 21st, 1954: 17-year-old Nathaniel Steward in class at the Saint-Dominique school in Washington, where the Supreme Court decision was first applied. Lawyer Robert L. Carter and NAACP Legal Defense and Educational Fund Inc. attorneys that made up Thurgood marshall's defense team in 1954. Left to right: Louis L. Redding; Robert L. Carter; Oliver W. Hil; Thurgood Marshall and Spottswood W. Robinson III. 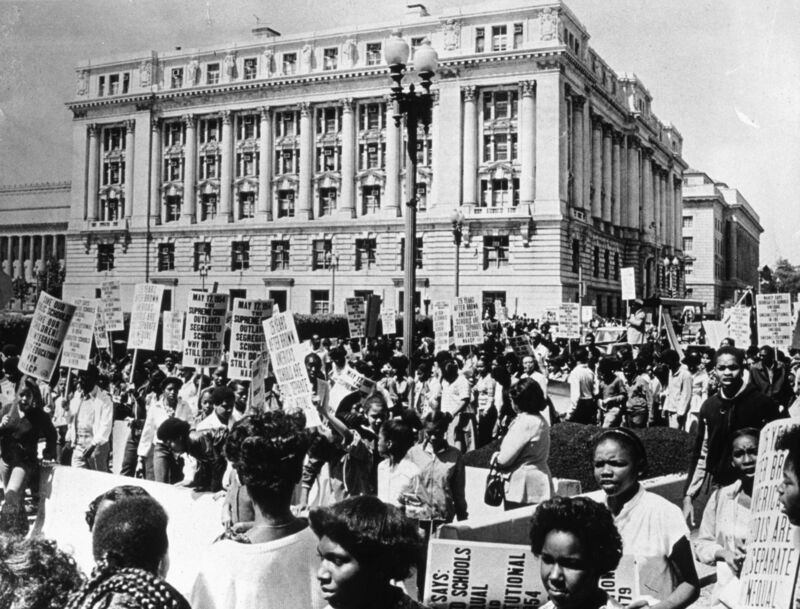 A crowd demonstrates on the 25th anniversary of Brown v. BOE. Duke University historian John Hope Franklin was part of the team of scholars who helped Thurgood Marshall to win the legendary case. Brown v. BOE plaintiff Linda Brown Smith and NAACP executive director Benjamin L. Hooks celebrate the 25th anniversary of the landmark decision on the steps of the South Carolina State House. 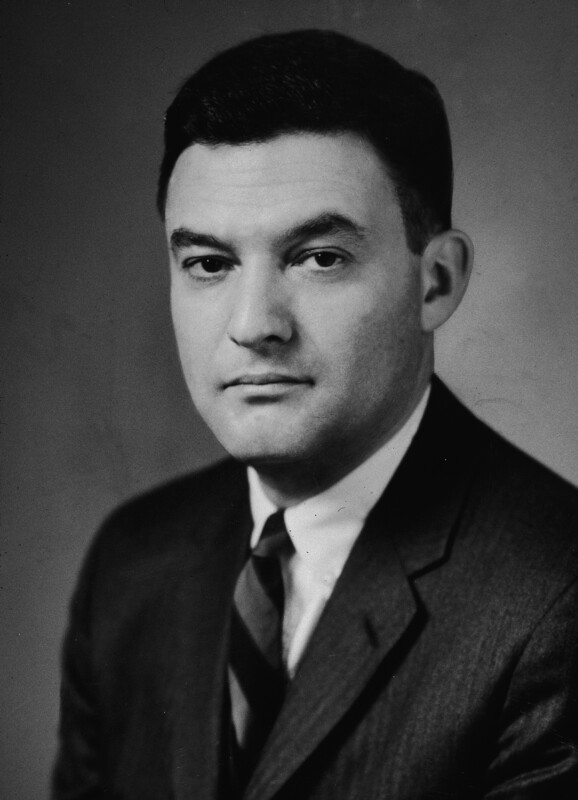 Lawyer Jack Greenberg argued for Brown v. BOE, and later succeeded Thurgood marshall as director of the N.A.A.C.P. Legal Defense Fund. The Farmville High School auditorium was used by the hard-working defense in Brown v. Board of Education.